Looking for a great place to sit back, relax and fill your belly with a delicious cut of meat? Rhode Island steakhouses offers offer some of the finest cuts of sirloin, filet mignon, and more. Paired with excellent service, you’ll be thoroughly impressed by these 10 great steakhouses in the Ocean State. 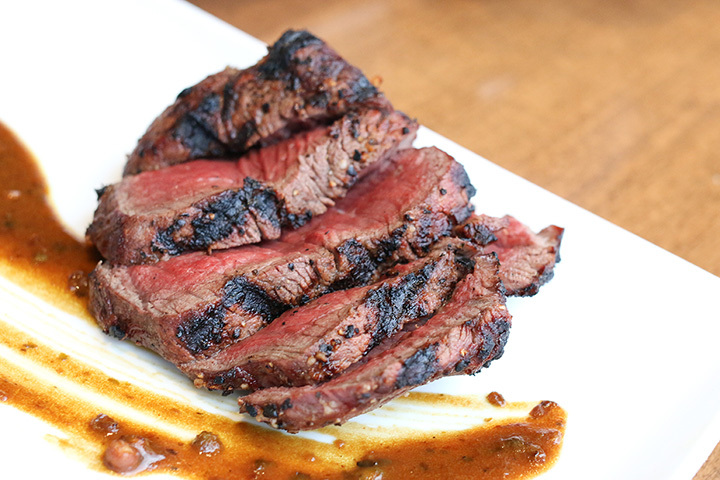 22 Bowen’s is Newport’s best steakhouse, and we could easily name more than 22 reasons why. Go for the Tavern Tasting Menu, a three-course dinner with several options, but you’ll only want one thing: a steak. It comes served with potatoes and asparagus, and makes for one rich and incredible meal. Fleming’s, with its dark wooden interior and white linen table cloths, is the picture of a classic steakhouse. But the steaks here are better than classic! Along with your steak, make sure to go for the crispy Brussel sprouts or portabella ravioli to complement your entrée. Order a steak every imaginable way at ChopHouse—you can’t go wrong whether you’re going with a filet mignon, steak and cheese, a cast iron ribeye or a tequila and lime steak. Capri boasts great food and even better service. Give a shout out to the owner, who often works the bar. Capri is best known for its incredible seafood dishes, too, so make sure to order a surf and turf dish while you’re there. Another seafood and steak restaurant, you’ll find quality versions of traditional steakhouse dishes at Mill’s Tavern. The steaks are wood-grilled and cooked to perfection, with incredible juiciness and flavor. Make sure to go for the mashed potatoes, too—sides are à la carte. Start off your dining experience with the incredible homemade warm and flaky bread, enjoy an appetizer or two, go for an incredible steak and finish off with a delicious dessert. Try dining in on weeknights, too—Fresco offers a great Monday night salad and steak deal! There’s not a bad seat at the Capital Grille—whether you’re seated at a table or along the beautiful bar, you’ll be thoroughly impressed by your dining experience. From their entirely à la carte menu, make sure to order a delicious filet mignon and follow it up with a seasonally prepared dessert. Splurge a little for some of 10 Prime’s decadent creations, such as their incredible bento boxes, crunchy rolls, or the incredible steak served with great toppings that add to the already juicy flavor. The perfect summer barbecue location, Smokehouse offers rustic flavors that bring a new twist to barbecue. Go for the baby back ribs, brisket, or combo platter, all of which are served with cornbread, slaw, and as many à la carte sides as you can handle. Make sure to make a reservation at this popular East Greenwich restaurant! The steak here is melt in your mouth delicious, but that’s not all you’ll want to try. Go for some pasta, a cocktail, or a delicious glass of sangria, too!